As with many small manufacturers, the Saxon enjoyed a relatively short production run, 1914-1923. This touring car is similar to one of the first cars that completed the breadth of the Lincoln Highway more than 100 years ago. They were good cars. Collector Bernie Taulborg of Elkhorn deemed this one too far gone to restore and used it as a landmark for those wanting to visit his collection at his farm before he donated most of his cars to the Classic Car Collection. 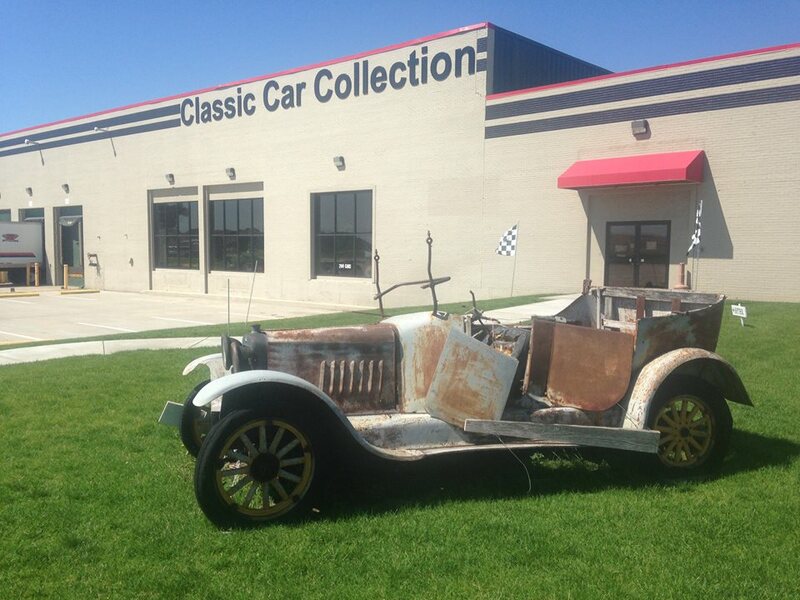 He did restore the other Saxon, a beautiful roadster that resides inside the collection on East Highway 30 in Kearney. Check out the Saxon logo on the radiator of these two cars. It is a hauntingly beautiful portrait of a young woman, believed to be Saxon’s daughter. There are only two other places I have seen a Saxon or remnants. The remnant is an advertising sign at the Buick Museum in Flint, Michigan. The car is buried among other “treasures” in an antique architectural shop in Lincoln, Nebraska.